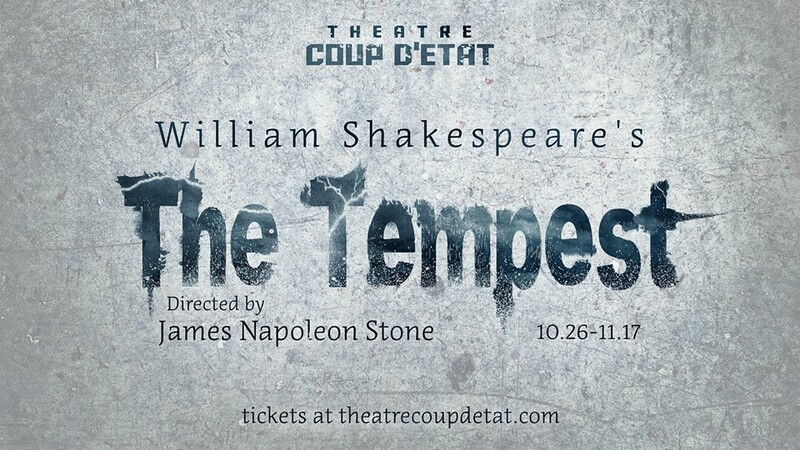 Wikipedia tells me that The Tempest is "now considered to be one of Shakespeare's greatest works," but I'd never seen it (everything I know about theater I learned from watching #TCTheater). Until this week. Theatre Coup d'Etat brings us a stripped down, one act, in-the-round, intimate production in the non-traditional theater space that is SpringHouse Ministry Center, where they've often performed. I found that I like the play, that ends neither with everyone dead nor everyone married, like most Shakespeare plays seem to (although one couple is betrothed). Furthermore, the moral of the story seems to be forgiveness and peace, which is quite a refreshing story to experience these days. In the hands of this wonderful cast 13-person cast, this clear adaptation with great use of space, physicality, and music is the perfect introduction to The Tempest. When someone asks me what my favorite musical is, my usual answer is: there are many musicals that I love, but only one whose lyrics are permanently tattooed on my body. That would be RENT: "no day but today." 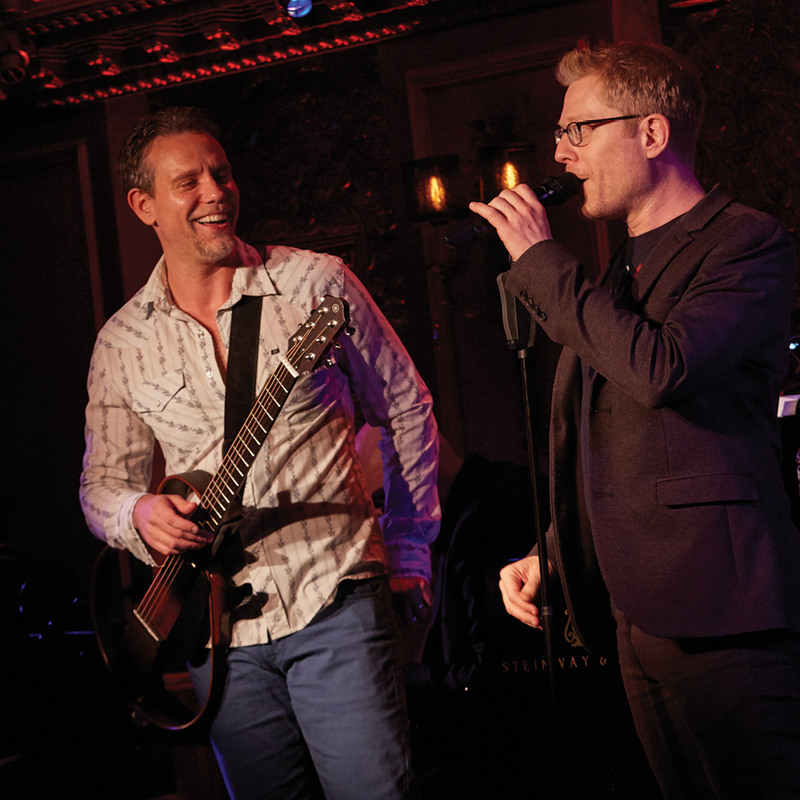 It's hard to say exactly why RENT has meant so much to me over the last 22 years. Growing up in suburban Minnesota, I didn't know much about Broadway, except for what I saw on the Tony Awards show. When RENT swept the Tonys in 1996 and went on to become a cultural phenomenon that year (think: Hamilton), I was in my early 20s, living on my own for the first time, trying to figure out this thing called life, much like the characters in the musical. For that and many other reasons, I really connected with it, and I fell in love with RENT - my first musical theater love. It's late October, and you know what that means - it's time for The Playwrights' Center's annual Playlabs Festival! 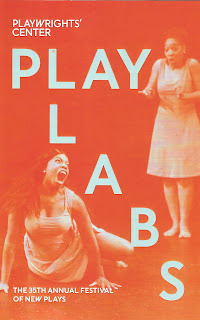 Playlabs is a sort of concentrated version of what PWC does year-round, which is support playwrights in developing new works of theater. During this one week, three plays and playwrights receive workshop and rehearsal time, a director, a cast, and sometimes a designer or two. 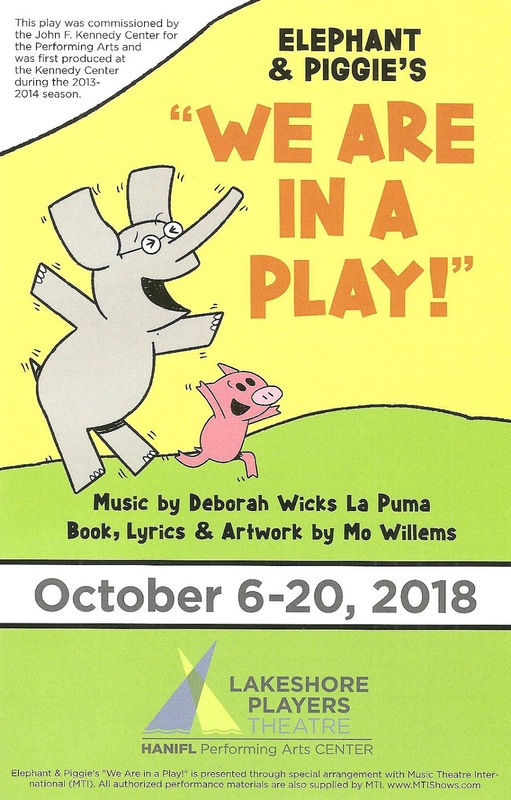 Each play has two readings that are free and open to the public; an important part of the new play development process is seeing how it reads in front of an audience. And that's where you come in, #TCTheater friends. 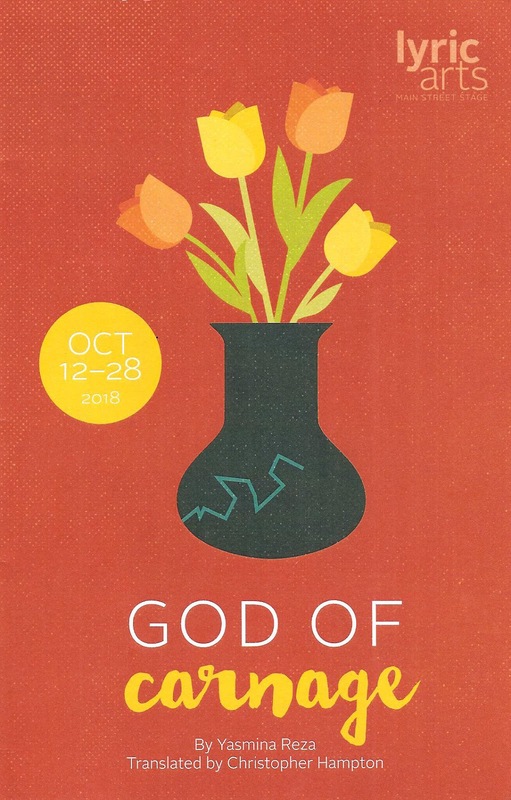 We're at the halfway point, each play has had one reading, the team is back in the lab continuing to tweak things, and the final readings occur this Friday and Saturday (along with a Fellows Showcase on Sunday). You can still register for all three readings here, or show up and get on the waitlist. 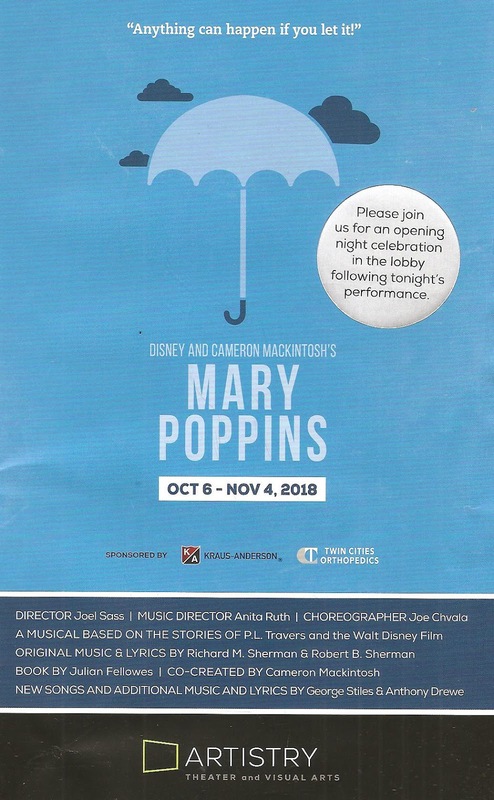 It's such a thrill to be a part of the process, and a privilege to be able to experience some amazing plays in the early stages, as brought to life by a top notch #TCTheater cast. Read on for descriptions of all three plays, and a few thoughts on the one(s) I've seen so far. This fall, Freshwater Theatre is featuring new work by women artists, and they couldn't have picked a better time. 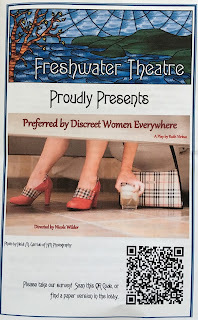 In rep with a short play festival called "The Feminine Surcharge," they're presenting a collection of three short plays set in a women's bathroom. A place where many of us spend a considerable amount of time. While my visits to the restroom are usually less dramatic than these, it certainly is a place for drama, for strangers coming together, for friends having intimate conversations, for women hiding from undesirable people or events outside the bathroom door (true confession: I've been known to spend a longer time than necessary in the bathroom when events are awkward or boring or uncomfortable). Ruth Virkus' three plays under the title Preferred by Discreet Women Everywhere explore these ideas. The result is funny and real and poignant, and feminist. 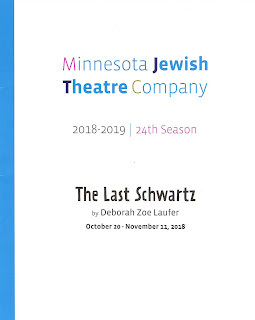 An all-female cast and creative team shouldn't be as rare and novel as it is, but you can witness it now through October 28 at the Crane Theater in Northeast Minneapolis. 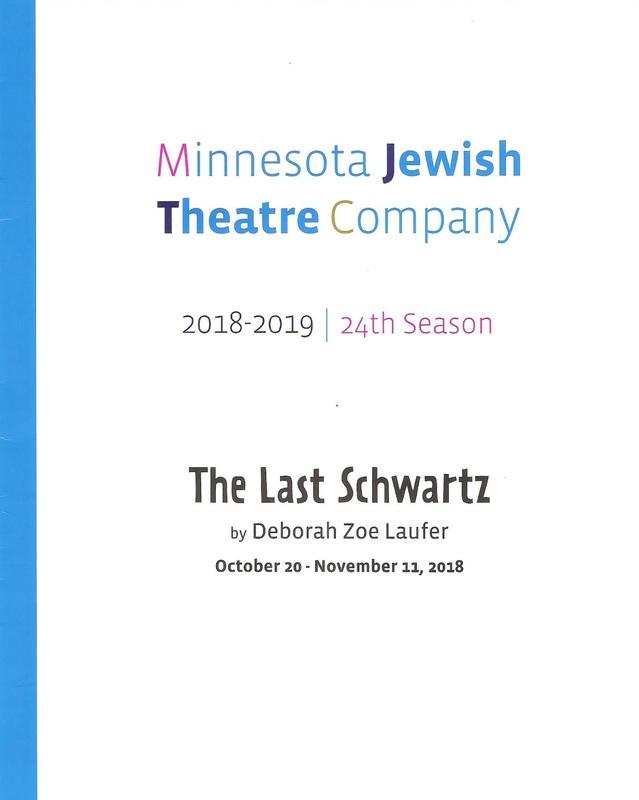 Minnesota Jewish Theatre Company brings us another modern (well, late '90s) Jewish family trying to maintain their cultural identity while living in the melting pot of America. Four siblings gather at the family home in upstate New York for their father's Jahrzeit (one-year anniversary of death), and disagree about just about everything. At times funny, at times heart-breaking, The Last Schwartz is an intense 90 minutes spent with a family that puts the fun in dysfunctional. Or as one character puts it when another laments "why can't you be a normal family?" - "this is a normal family." 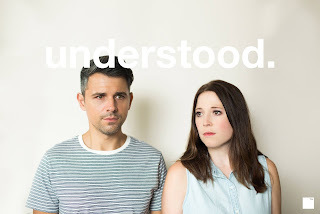 Two world premiere new works of theater are premiering at the Children's Theatre Company this fall (which is actually not that unusual for this company that focuses on new work). The main stage production of Last Stop on Market Street closed today (to make way for everyone's favorite furry green grump, another CTC original), but downstairs on the smaller Cargill stage, I Come from Arizona continues through the end of November. 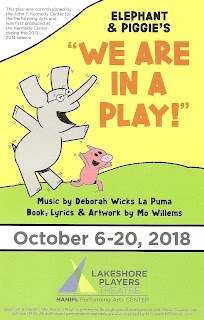 This very timely play (adapted by playwright Carolos Murillo from his play Augusta and Noble) speaks directly to the issues of the day, issues that children in the audience may be experiencing first-hand. 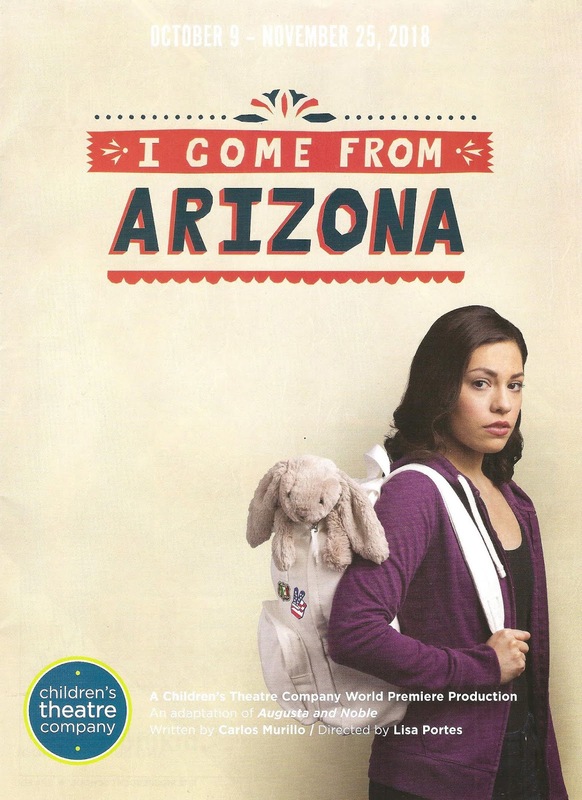 Gabi is the child of undocumented immigrants, and has far more worries than any 14-year-old should. This production makes what for some of us may be abstract immigration policy ideas seem very real, and very human. In 2009, God of Carnage won the Tony Award for best play. It closed in 2010, and the Guthrie produced it the following year, when I called it "a tightly wound, intense, darkly hilarious four-person play about what happens when our baser natures come to the surface." I still have vivid memories of it (which is noteworthy, considering I've seen over a thousand plays since them). 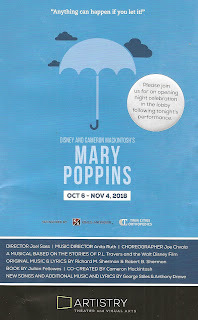 It's a treat to revisit this smart, sharp comedy again in a well done production at Lyric Arts. The strong four-person ensemble is a great team, director Scott Ford has paced the 90-minute four-way conversation well, and the design tells us immediately where we are and who we're dealing with. 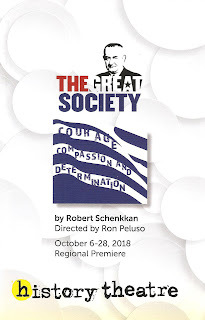 To my knowledge, no #TCTheater has done this play since the Guthrie in 2011, so kudos to the little community theater in the 'burbs for tackling this prickly and sometimes unpleasant (in a good way) play and doing it so well. This spring, Michelle Hensley left the company she founded 25+ years ago, Ten Thousand Things, through which she nurtured a new kind of theater. The kind of theater that thinks first about the audience, makes the storytelling accessible to everyone, and brings theater to people who may never have experienced it before. I think we were all a little worried about the future of TTT without their esteemed leader, but never fear. Michelle has taught us well, and left the company in great hands - those of new Artistic Director Marcela Lorca, as well as adapter/director of the first post-MH show, Randy Reyes. 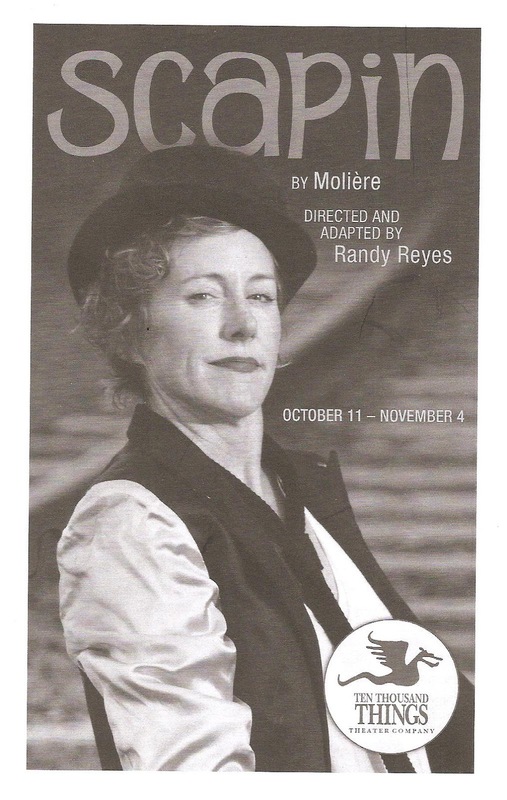 This fun and wacky adaptation of the Moliere comedy Scapin is very TTT, and an absolute delight. Long live Ten Thousand Things! If you've never seen Rev. Matt's Monster Science at the Minnesota Fringe Festival, or the Twin Cities Horror Festival, or the Phoenix, or your local library, this is a brief PSA to tell you why you should. Rev. Matt (aka Matthew Kessen) performed last night at my local library to an enthusiastic crowd of nerds, and a good time was had by all. In just their second production, new #TCTheater company Prime Productions (whose mission is "to explore, illuminate and support women over fifty and their stories through the creative voice of performance," hooray!) 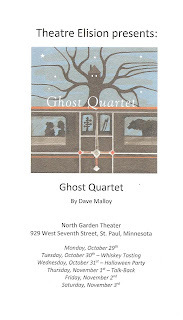 brings us the regional premiere of the new play Two Degrees by Tira Palmquist. If their goal is to provide interesting and complex roles for women of a certain age that aren't that of merely the wife, mother, or best friend, then this play is a resounding success. Norah Long is one of our best actors, period, and it's wonderful to see her tackle the role of a smart, mature, vibrant, messy woman (think Shonda Rhimes heroines, but on stage). The play is a nice balance of stories global (i.e., the dangers of climate change, from whence comes the title) and personal. 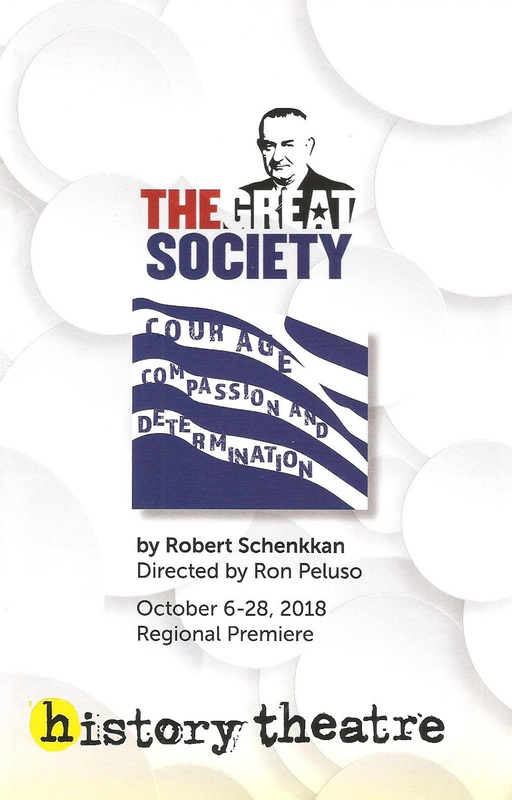 The Guthrie Theater is opening their 56th season (my 16th as a subscriber) with a play they commissioned 30 years ago. 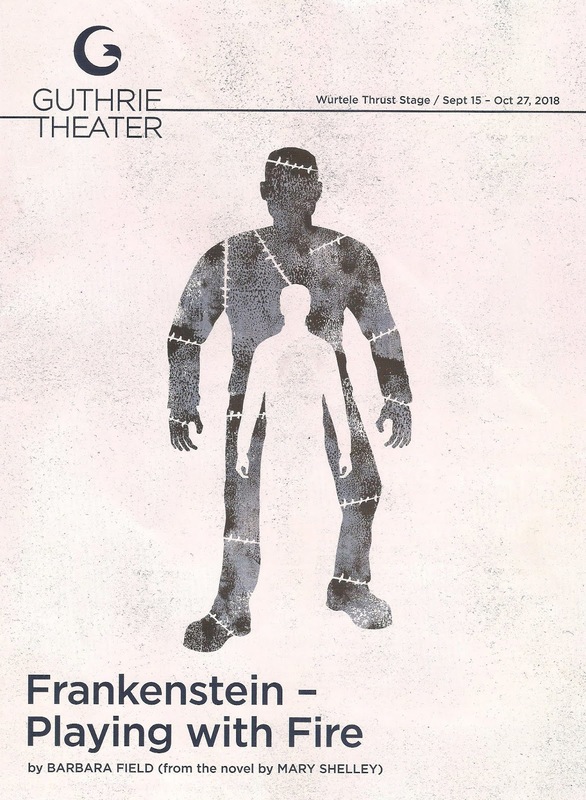 Minnesota playwright Barbara Field (who also provided the adaptation for the Guthrie's first A Christmas Carol, that they used for over 30 years) adapted Mary Shelly's famed novel Frankenstein as Frankenstein - Playing with Fire, premiering in 1988. About her work she says, "the animating spirit of this play is a hunger for science and knowledge that motivates the questions these two old men ask each other." One big long conversation between two people about science, philosophy, life, and death is a play that's right up my alley (bonus: mathematical equations! ), especially when so beautifully designed and acted as this. I was at the dentist today for a quick repair of a chipped filling. While waiting for the novocaine to take effect, the hygienist was making small talk. She went through the usual topics - travel, work, weekend plans. Then she got to this topic. "Do you have children?" "No." "Are you married, significant other?" "No." "So it's just you then, huh?" Yes, it's just me. But it's not really just me. I was reassured last night that there are many "spinsters" like me who are single for a variety of reasons, and contrary to popular belief we're not all lonely damaged people. 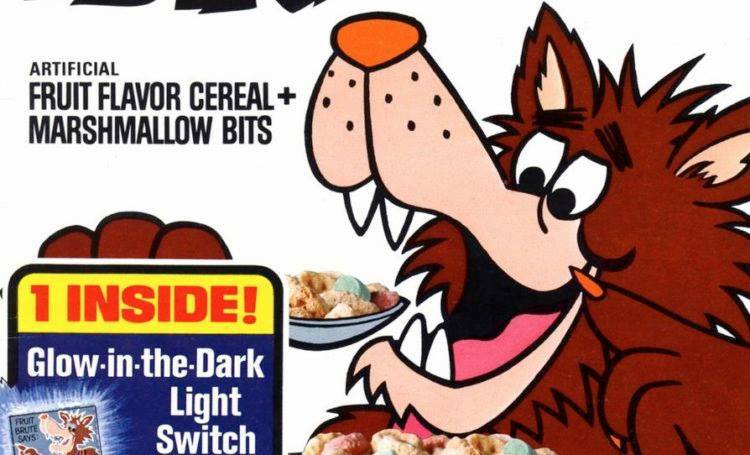 We can be just as happy and well-adjusted and fulfilled as "the marrieds," maybe even moreso. 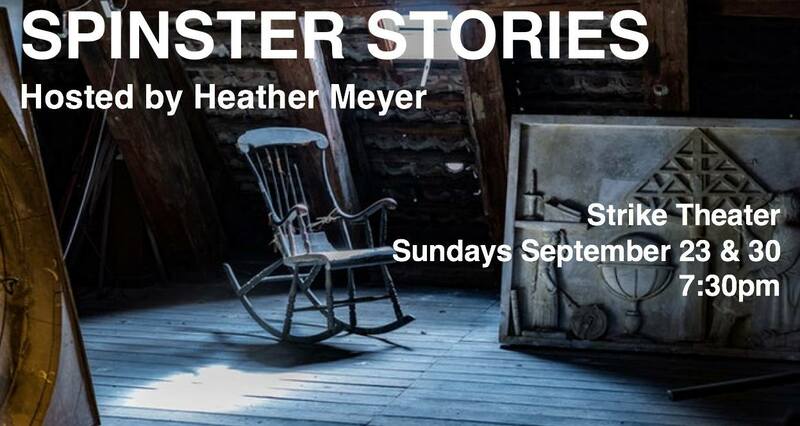 Six such people shared their experiences at Strike Theater in Northeast Minneapolis in an evening of storytelling called "Spinster Stories." Sadly, this was the final of two shows and there are no more scheduled (at the moment). But check out Strike's schedule for more storytelling, sketch comedy, and improv performances, including their one-year anniversary celebration this weekend!